Hotel Růže is located right on the bank of the Vltava River at the border between two famous fisheries Vltava 27 and Vltava 28. 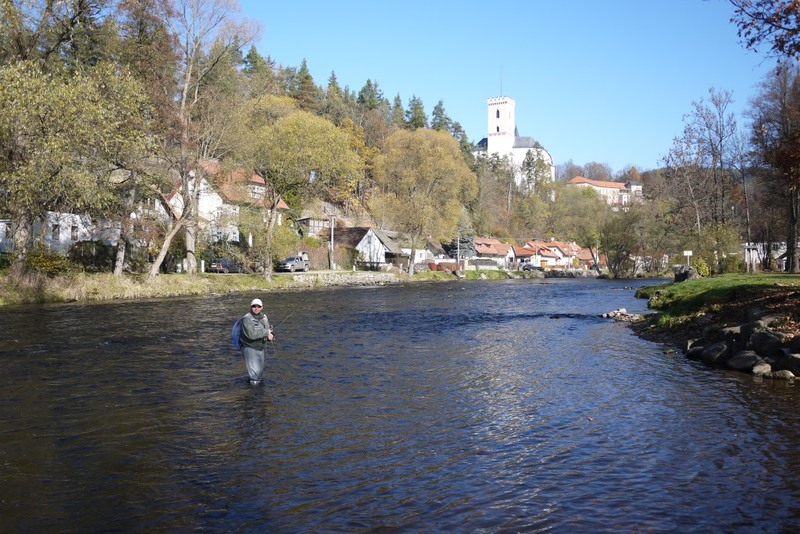 Our hotel successfully hosted the FIPS MOUCHE European Fly Fishing Championship in 2011 and also the FIPS MOUCHE World Fly Fishing Championship in 2014 was held in the surrounding waters. 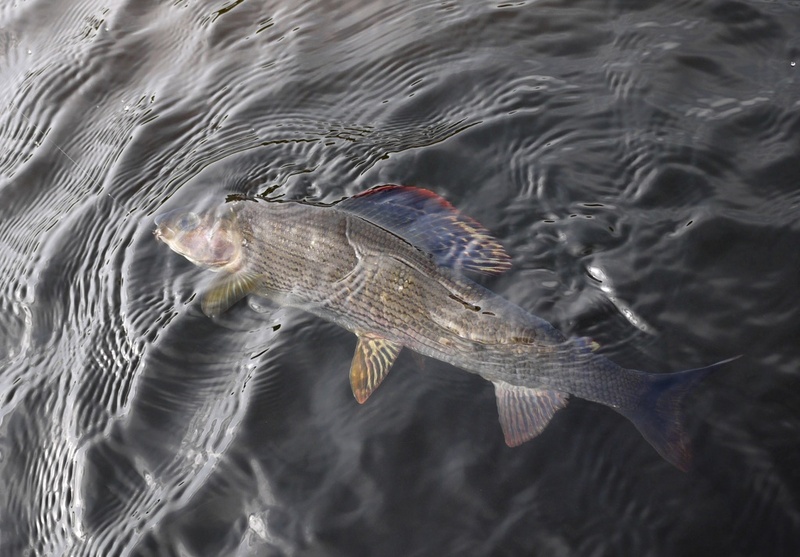 The next international fly fishing competition will be the European Championship in 2018. 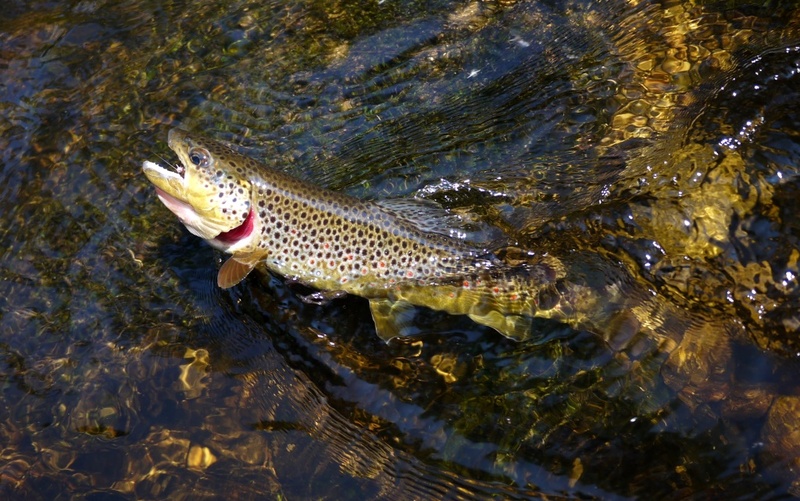 During the WFFCH 2014, more than 10,000 trout were caught!!! 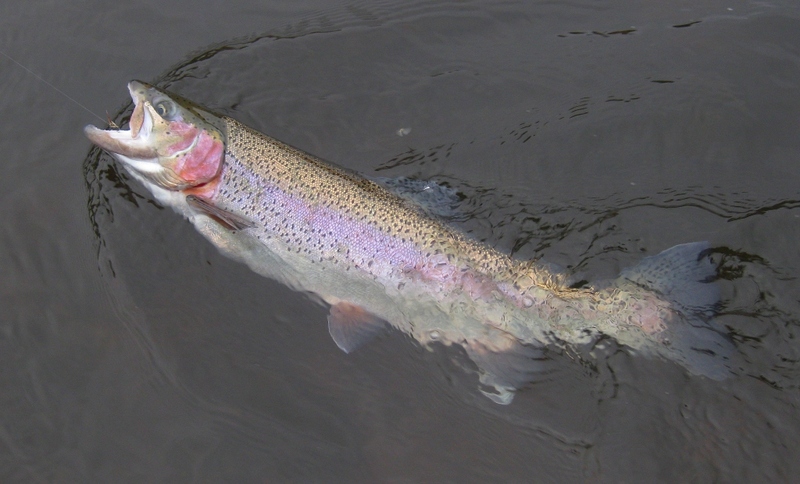 The large fish stock is composed mainly of native brown trout and regularly stocked rainbow trout of trophy size. 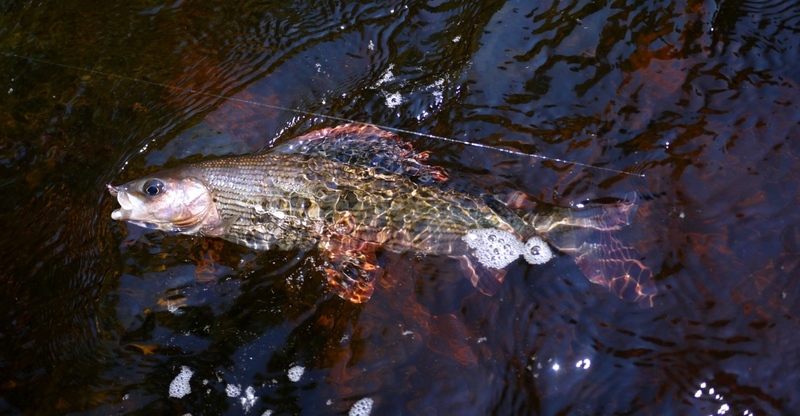 Not rare is catch of grayling and other coarse fish. In our hotel, you can go fishing directly from your room. 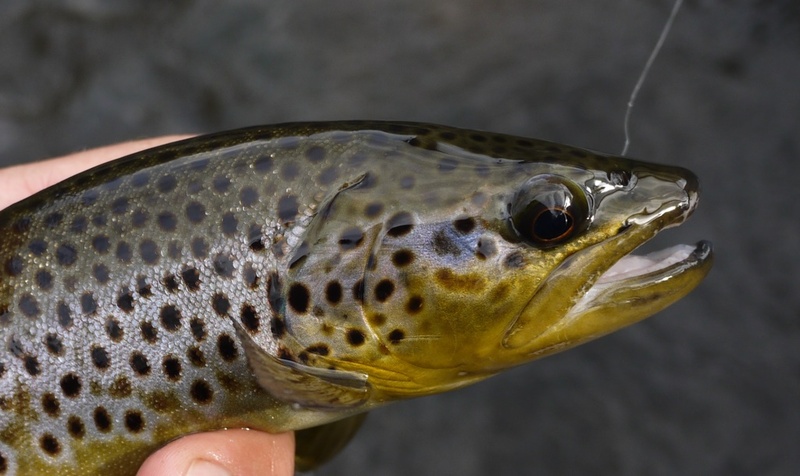 Within walking distance, there are located both the upper part of the fishery Vltava 27 which is a "Catch and Release" section, and the lower part of the fishery Vltava 28. 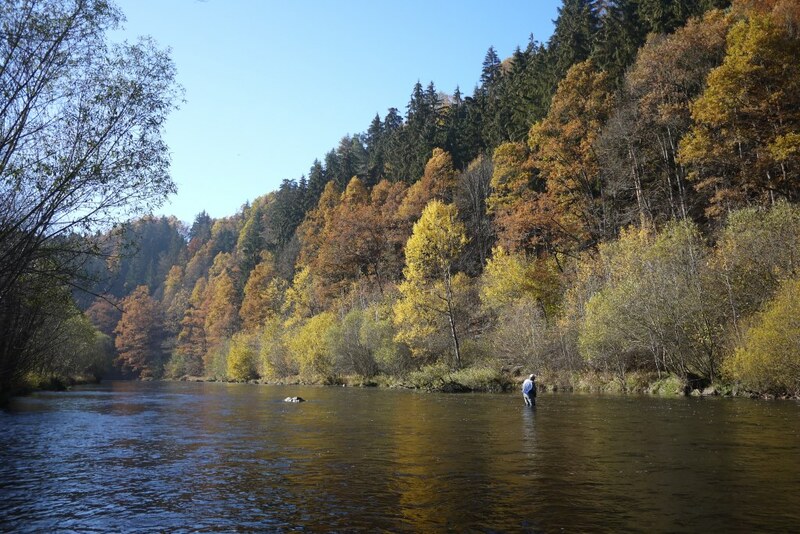 In a 15-minute drive you can reach the whole fishery of Vltava 28 and also the jewel between fly fishing waters in the Czech Republic, the famous Vltava 29 called " Devil’s Rock". In a similar distance in the direction to Kaplice, you can get to the beautiful, smaller, Malše River. 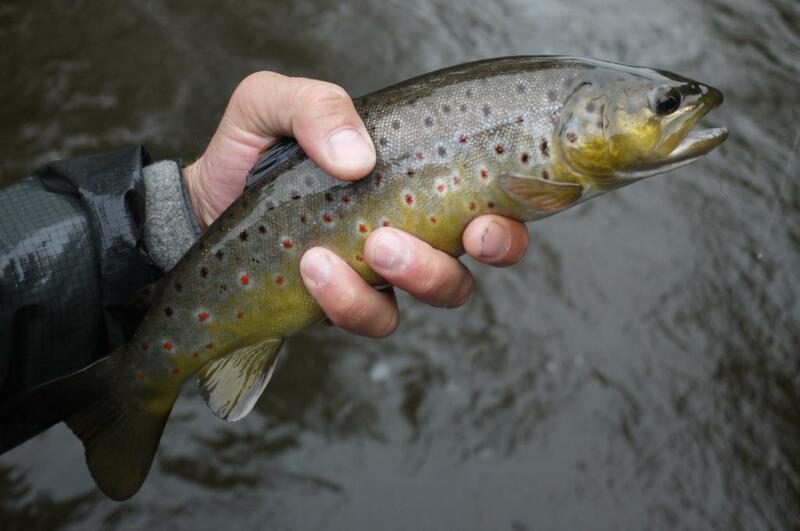 The fly fishing season starts on April 16th with its first peak in June, but you can also enjoy great fly fishing during summer. However, because of the intense canoe traffic on the Vltava River, we recommend getting up early to go fishing. 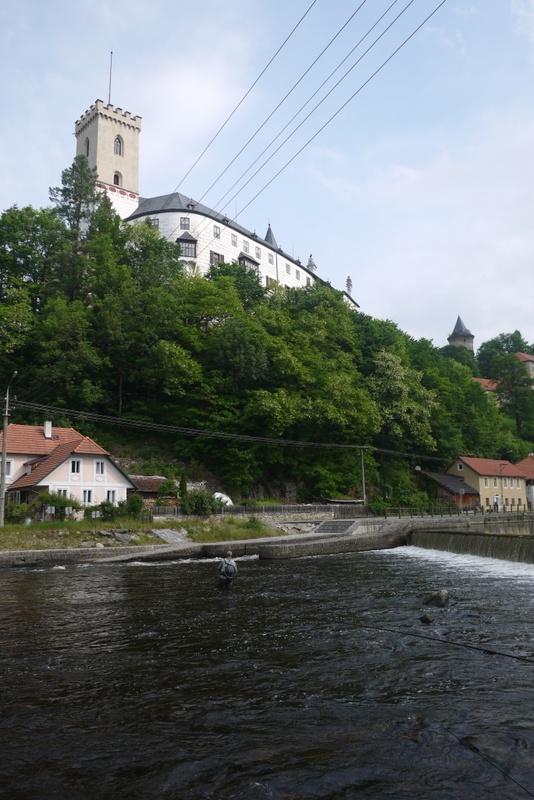 During the day, go to "Devil’s Rock" or to the Malše River and return to Vltava 28 fishery after dinner for an evening hatch. 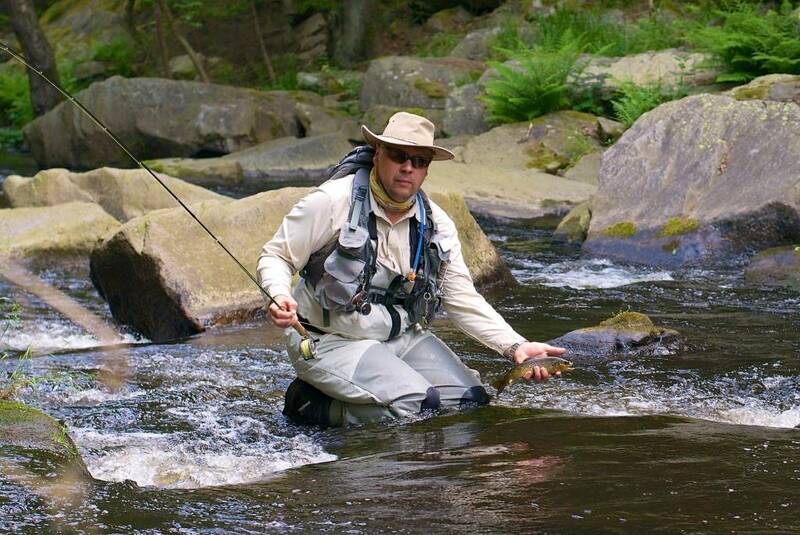 The second peak of the fly fishing season starts in September, but you can successfully fish until the end of November due to the relatively warm water flowing from the Lipno Reservoir. 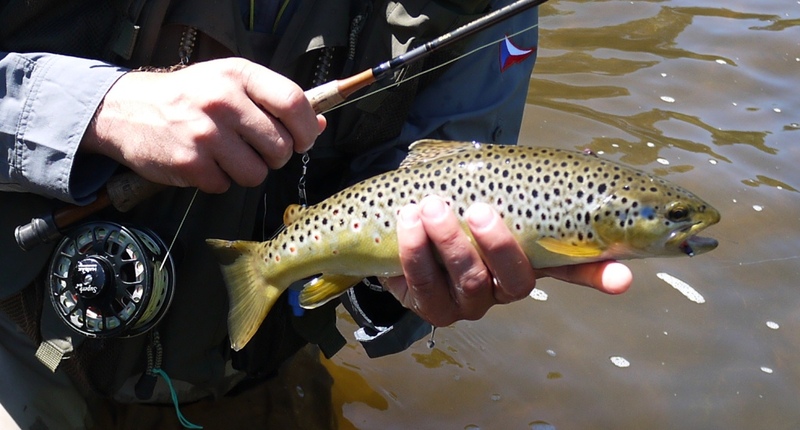 All angling waters are managed by the South Bohemian Board of the Czech Anglers Union and our hotel offers its guests the arrangement of all documents required and also great guiding services. The beer in our beautiful garden restaurant tastes the best after a successful evening of fly fishing!